I need help finding my bank account details. If you're having trouble finding your account information, your best bet is to pull out one of your checks. You can find the required information using the picture below. On the bottom of your checks, the first set of numbers on the left is your routing number, followed by your account number. 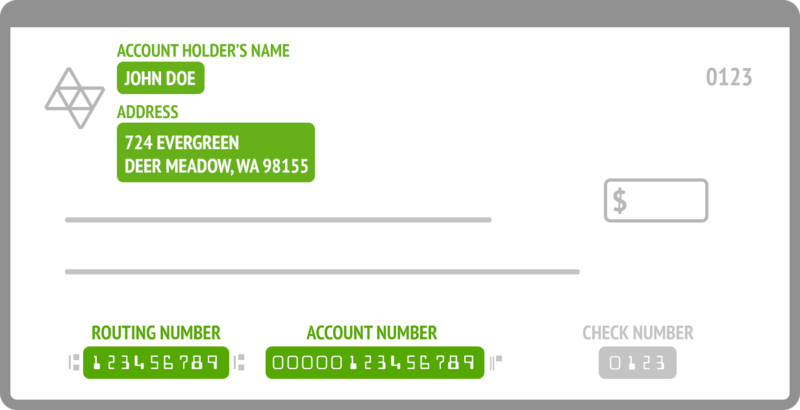 Additionally, you can also log into your bank account online and look up your details in your account settings area. If you're having trouble, you can always contact your bank to get this information.